The pianist Oliver Triendl has established himself as an extremely versatile artist personality in recent years. About 100 CD recordings attest to his commitment as an advocate for rarely played Classical and Romantic repertoire as well as his commitment to contemporary works. 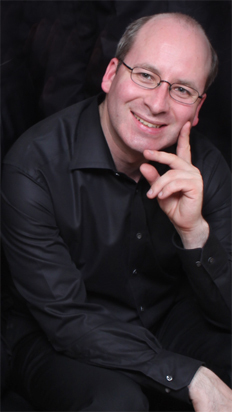 He has appeared as a soloist with numerous renowned orchestras, and as a passionate chamber musician he works with outstanding artistic personalities. In 2006 he founded the international chamber music festival CLASSIX Kempten in Kempten/Allgäu. Oliver Triendl, the winner of several national and international competitions, was born in 1970 in Mallersdorf (Bavaria) and studied with Rainer Fuchs, Karl-Heinz Diehl, Eckart Besch, Gerhard Oppitz, and Oleg Maisenberg. He has performed successfully at festivals and in numerous music metropolises in Europe, North and South America, South Africa, and Asia.